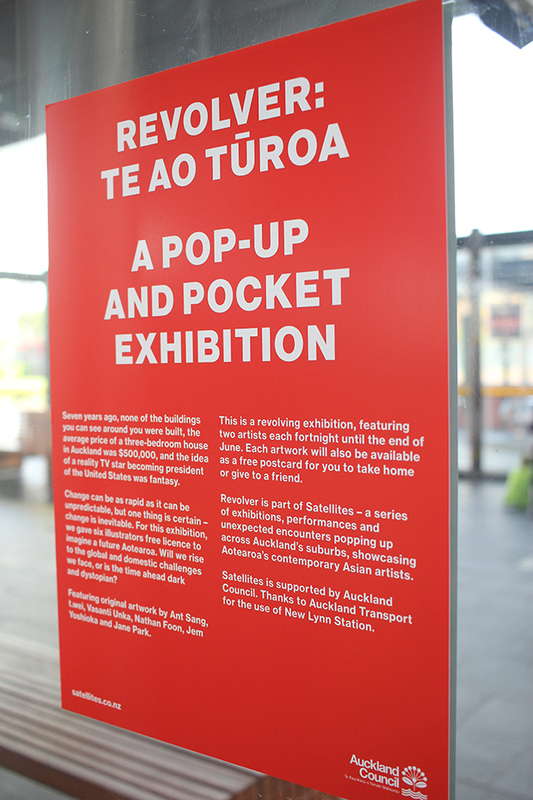 I’ve got a couple of new artworks on display at Satellites‘ pop-up and pocket exhibiiton, Revolver, at New Lynn Station. It’s a cool concept; six artists’ work are displayed over a six week period, two artists at a time, for two weeks (does that make sense?). 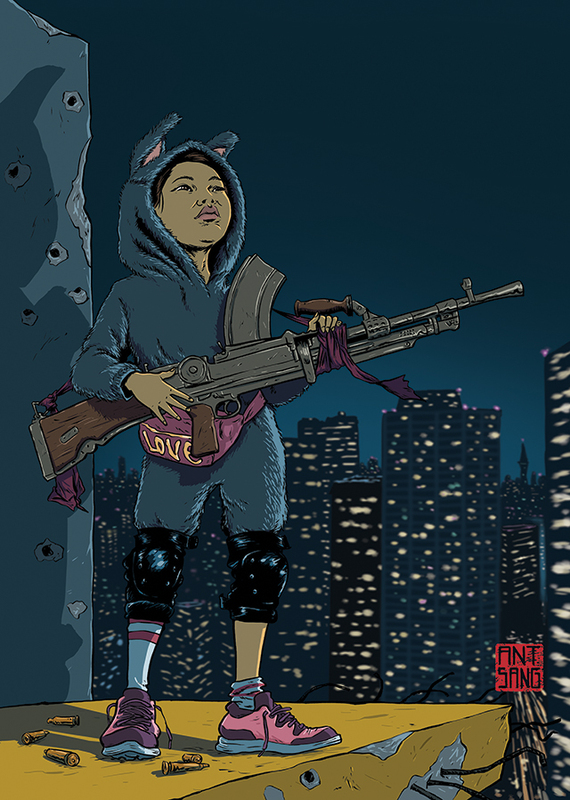 First up are t.wei and myself. Then Vasanti Unka and Nathan Foon. Followed by Jem Yoshioka and Jark Pane in the final two weeks. 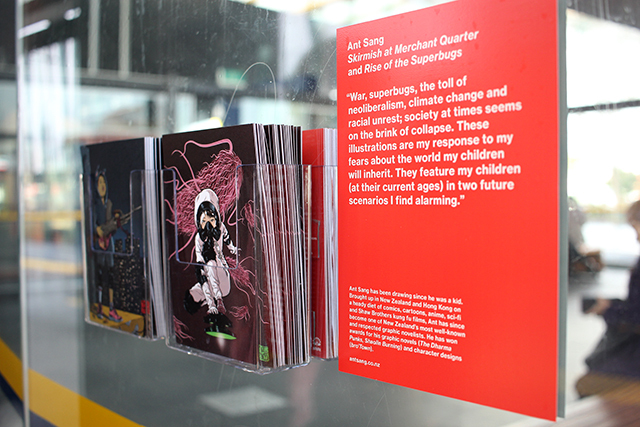 Added bonus, all of the artworks are reproduced as pocket-sized postcards and are free to take away. 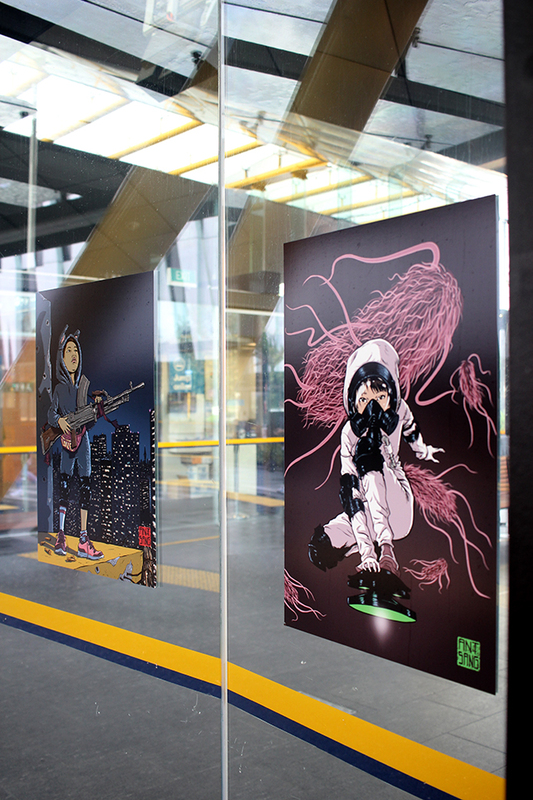 The theme of the exhibition is ‘the future’, and I channeled all of my dystopian-future fears for my two pieces. There’s a lot of worrying stuff happening in the world right now (as always, right? )… antibiotic resistant superbugs, wars, terror attacks, racial and religious tension, the widening gap between rich and poor; the list goes on. Sometimes I wonder what the world will be like when my daughters are grown up, when I’m long-gone. I hope they will live in a safe, civilised society. 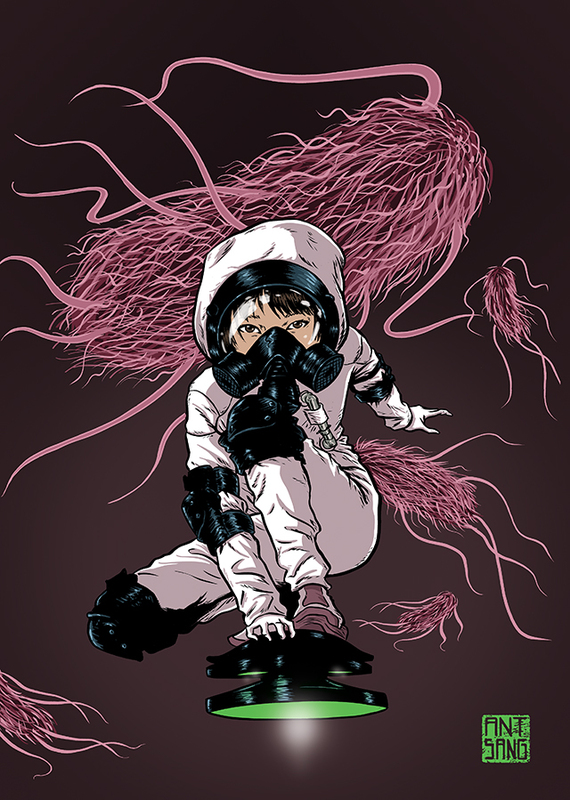 But for this exhibition, I’ve imagined my daughters (at the ages they currently are) in a chaotic future world, surviving the best they can. 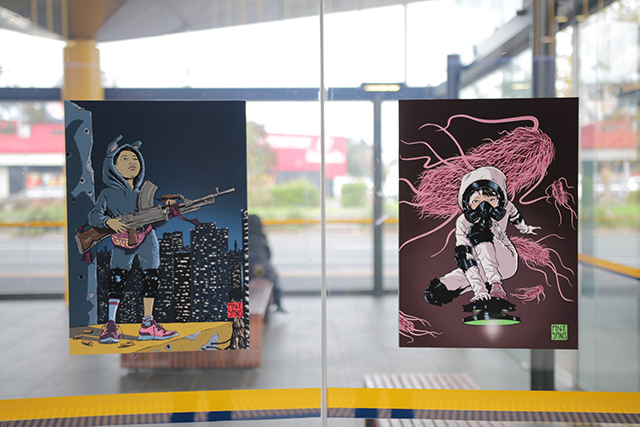 Revolver runs between between May – June 2017 at New Lynn Station, Auckland. Check it out before it’s gone!